As you’ll remember, the Iowa House passed Stand-Your-Ground law last week by an overwhelming majority. Even better, thanks to your calls and emails, the all-important civil and criminal immunity language was finally put back into the bill! Having passed the House, the bill has now been assigned to the Senate Sub-Committee and they need to hear from you right away. More on that in a moment. Anti-gun organizations in the Capitol and liberal media are attacking this bill using silly half-truths and hysterics. The Cedar Rapids Gazette’s Editorial Board, never a friend of the Second Amendment, has repeatedly called Stand-Your-Ground law “unnecessary” — falsely alleging that Iowa code already allows you and me to stand our ground. Of course, Iowans expect this, as more and more these editorial boards — paying the price for years of anti-gun absurdities — find a smaller and smaller audience for their spin. But that doesn’t mean that the legislature isn’t listening to them! We know they are, having been told by House Leadership that they removed some of the best parts of the omnibus bill after the outcry of media outlets across the state. That’s why it’s essential that you contact the members of the Senate Sub-Committee immediately, and insist that they move Stand-Your-Ground law through their sub-committee right away! It’s vital that you contact this sub-committee as quickly as possible by calling, emailing, and messaging them via Facebook. 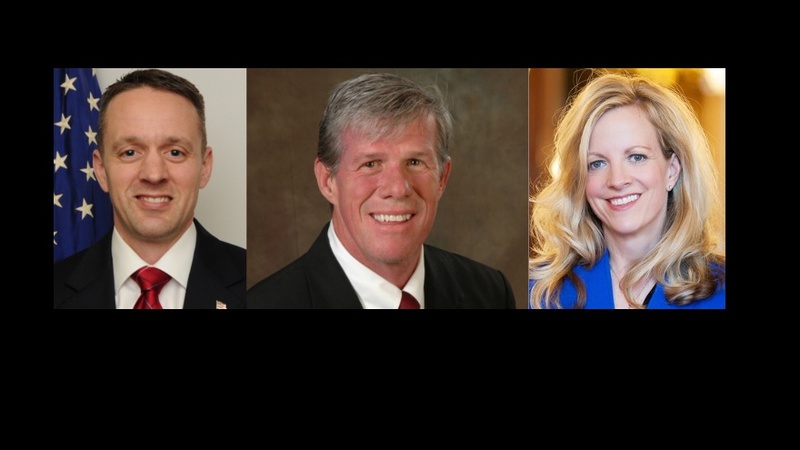 Senator Petersen is one of the most aggressive anti-gun legislators left in the chamber after gun owners booted out Senator Sodders, Gronstal, and others last year. Senator Dawson was one of the few legislators who didn’t cosponsor Stand-Your-Ground legislation when dozens of other Senators quickly signed up earlier this year. As a member of the Sub-Committee assigned to Stand- Your-Ground law (HF517), I urge you to support it fully with no weakening amendments. While not changing the laws on when you can use defensive force, Stand-Your-Ground law simply states that I’d no longer have to retreat from a violent criminal before I defend myself and family. Almost three dozen other states have this legislation in place — including our neighbors in Missouri who enacted it just last year — and it’s time Iowa do the same. Please move the bill through your sub-committee right away with no weakening amendments. Gun owners made their voices heard last fall in Iowa, by unseating half a dozen Senators who had blocked this legislation from advancing in years past. Please stand with Iowans and advance this legislation right away. Iowans have been waiting for a long time to see Stand-Your-Ground legislation pass into law. Ever since Iowa Gun Owners met with Jay Rodney Lewis — the Iowan wrongly arrested and prosecuted by Polk County Attorney John Sarcone — we knew that this had to be our top priority. But this is a very dangerous time. We’ve already seen harmful amendments added onto this bill, weakening the remaining language. The Stand-Your-Ground law portion of this bill itself was greatly weakened until an amendment on the House floor fixed it last week. That’s why it’s essential that you tell the sub-committee members that you want to see this bill pass with NO WEAKENING AMENDMENTS! Please do so right away, and then forward this to your friends and family and make sure they do the same thing! And, if you can, please chip in $5 or $10 to help us get the word out to as many Iowans as possible as this fight moves to the full committee! P.S. Stand-Your-Ground legislation has moved to the Senate Sub-Committee for further consideration. The members of the sub-committee need to hear from you right away! The media in Iowa is working overtime — along with their pals in the legislature — to kill this bill or weaken it severely. That’s why it’s urgent you contact the committee (using the information provided above) and insist that they pass this bill through their sub-committee with no weakening amendments! When you’re through, please forward this to your pro-gun friends and family and urge them to do the same thing. And, if you can, please help Iowa Gun Owners get the word out to as many Iowans as possible with a donation of any amount today!